The winners were: Miranti Verdiana, Trihadi Tamanyira, Sinyal Theresia, Setiawan Gunadi, Regina Puspita Arza, Arnantyo Naresyworo, Erika Anastasia Purnama, Rizkyanoor Widiantoro, Jessica Florencia, Andreas Manek Key, Yumelda Wati, and Kelvin Suhanda. Archipelago International, a leading Indonesia-based hospitality management company, has recently received a Certificate of Appreciation for donating 4.7 tons of food to Scholars of Sustenance (SOS), an international charity that focuses on global food distribution issues. 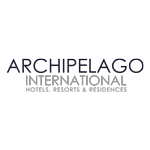 Archipelago International, a leading Indonesia-based hospitality management company, proudly took home four awards at a recent gala dinner in Jakarta for the annual Traveloka Awards. Archipelago International recently announced the signing of Aston Sumenep City Hotel in Madura. Anticipated to open in 2021, it will be the first Aston branded hotel in Sumenep Regency.